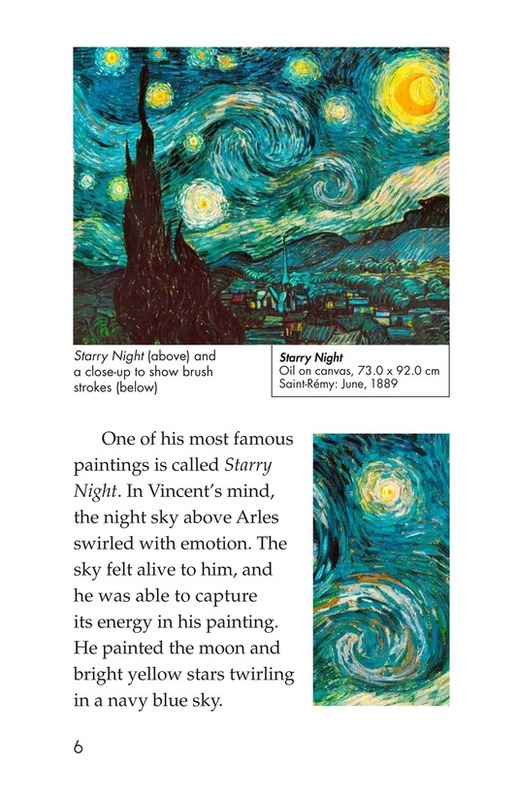 Bright yellow stars in a navy blue sky. 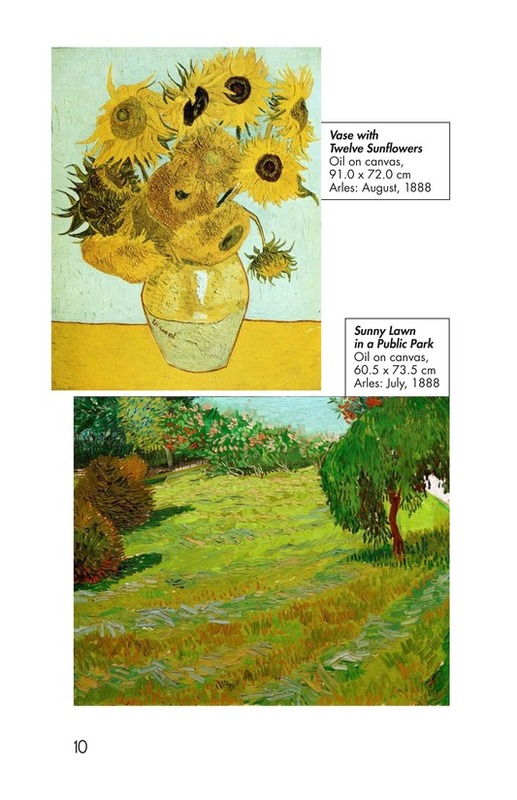 A sunny meadow during a summer afternoon. 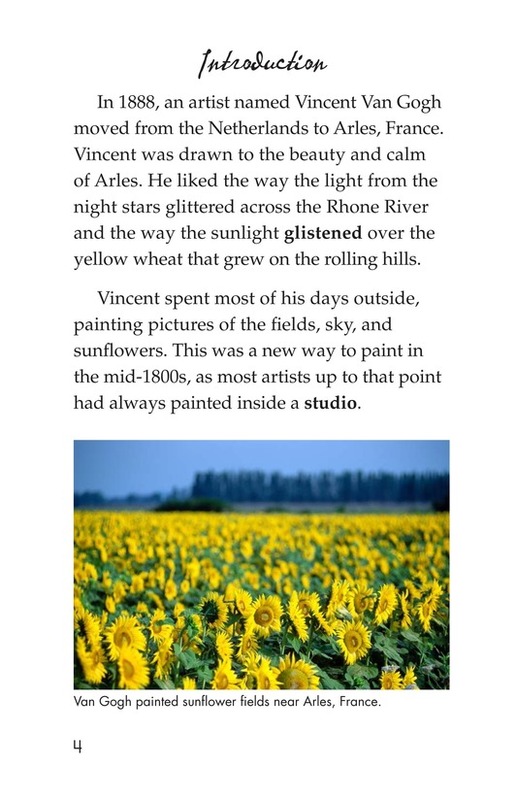 Golden sunflowers in a bouquet. 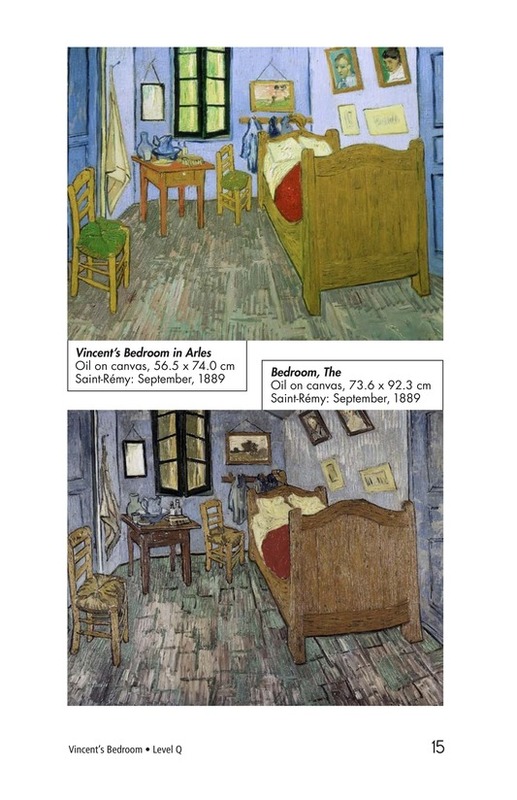 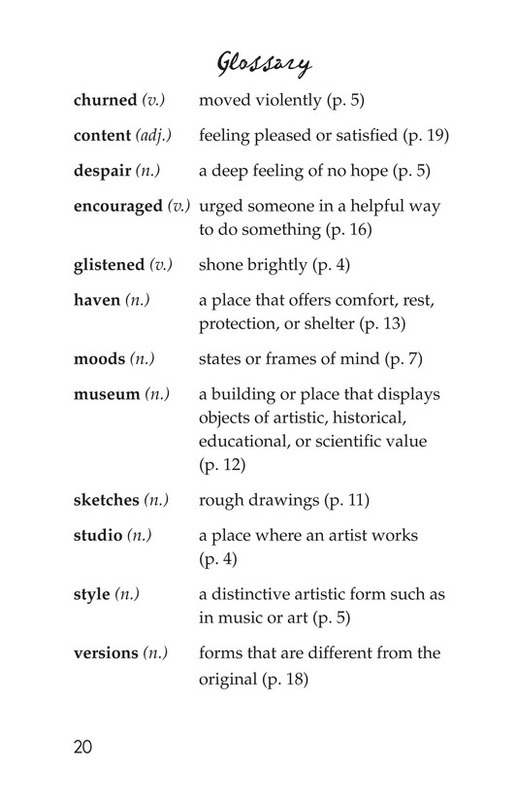 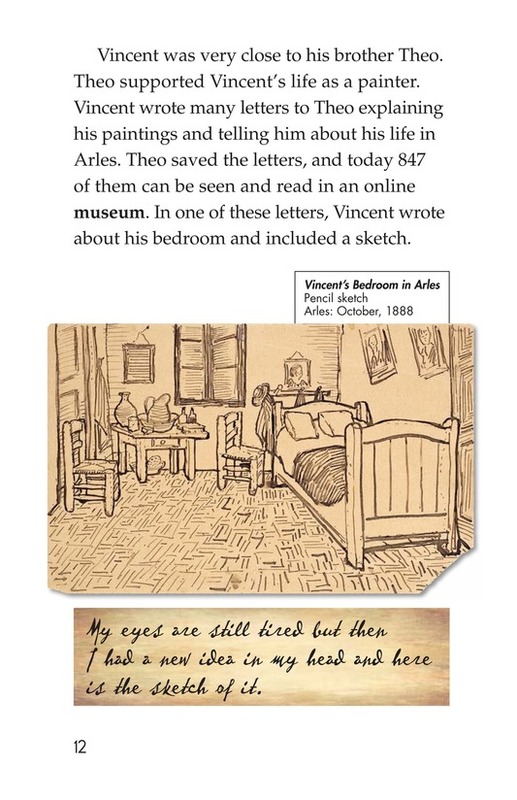 These are some examples of the works that artist Vincent Van Gogh created during his lifetime, Vincent's Bedroom is an introduction to the life and work of Van Gogh. 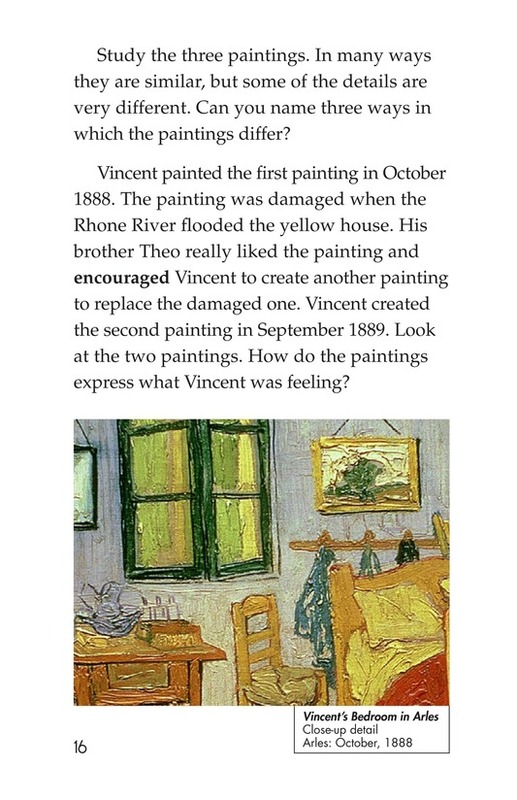 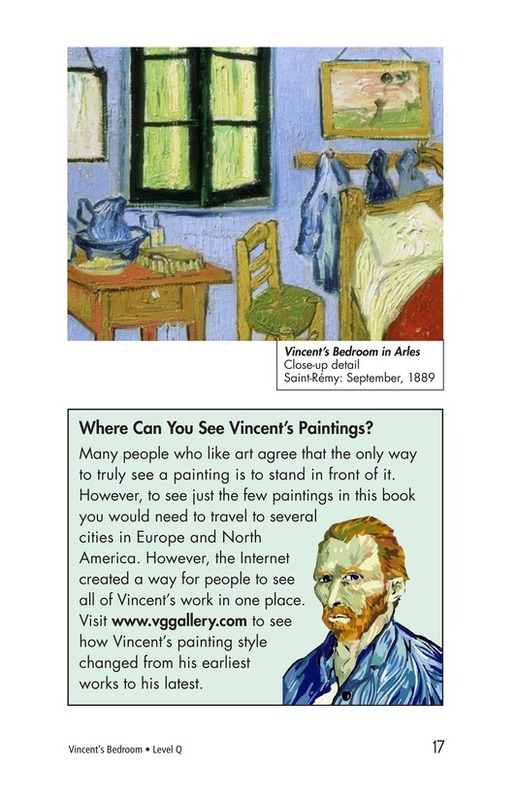 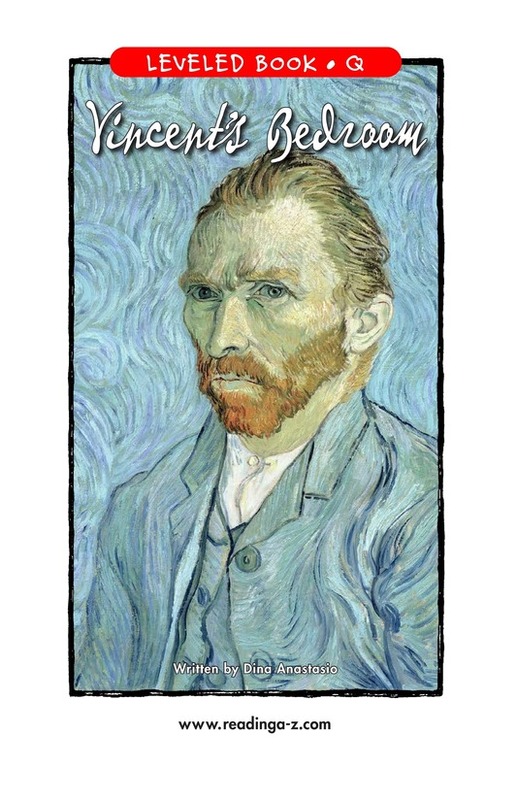 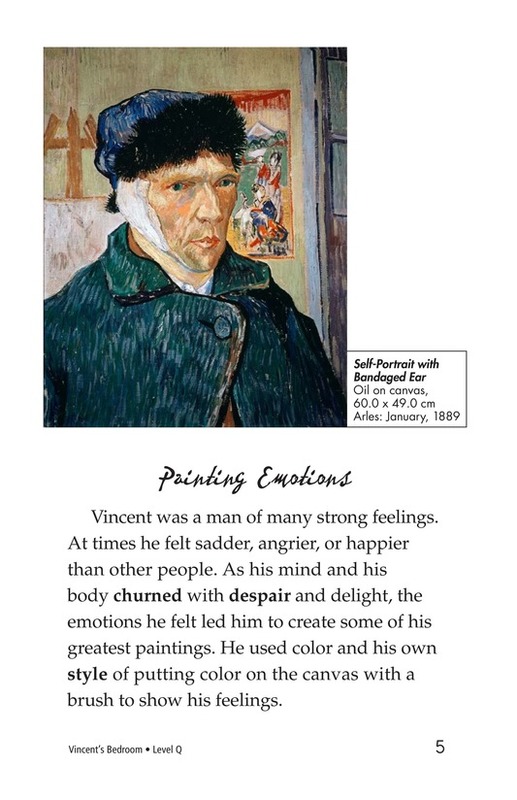 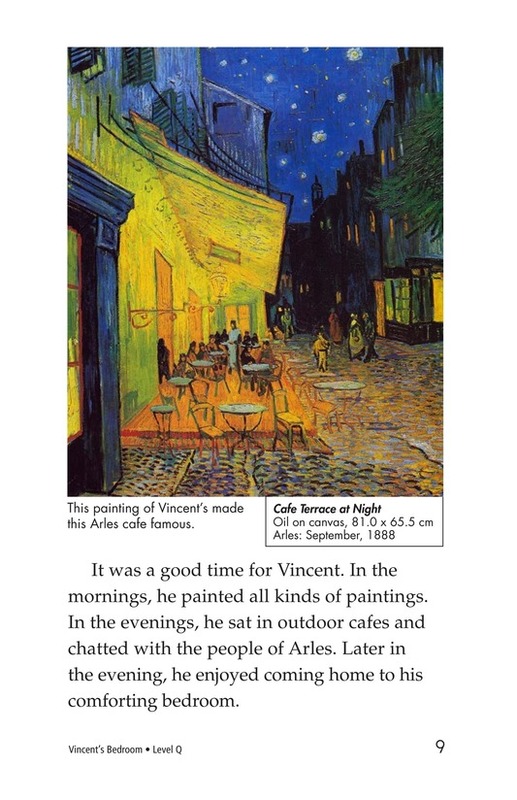 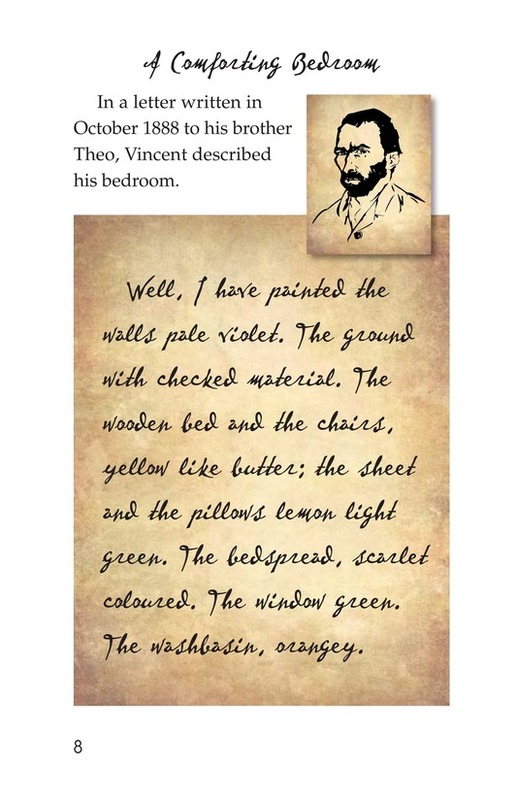 Readers will learn about how Vincent's personality and lifestyle influenced his style of painting. 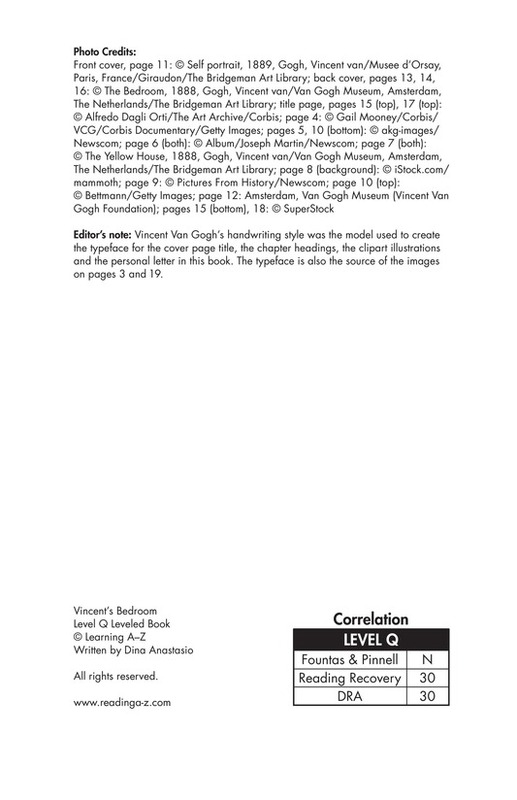 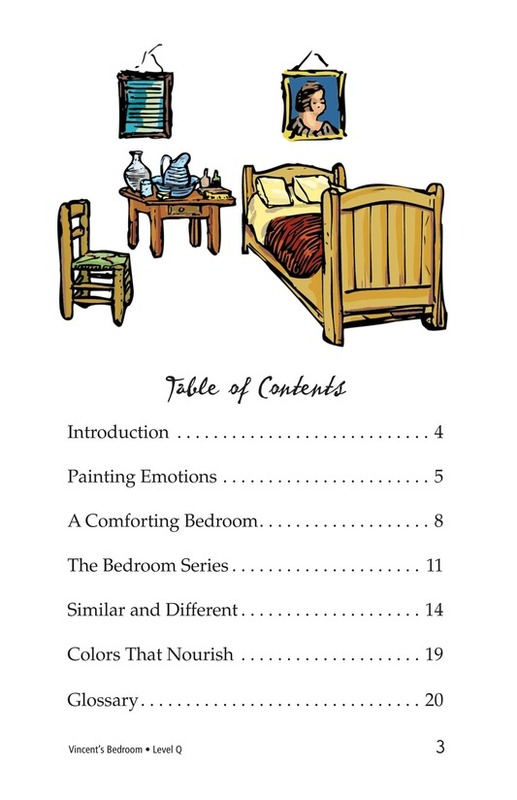 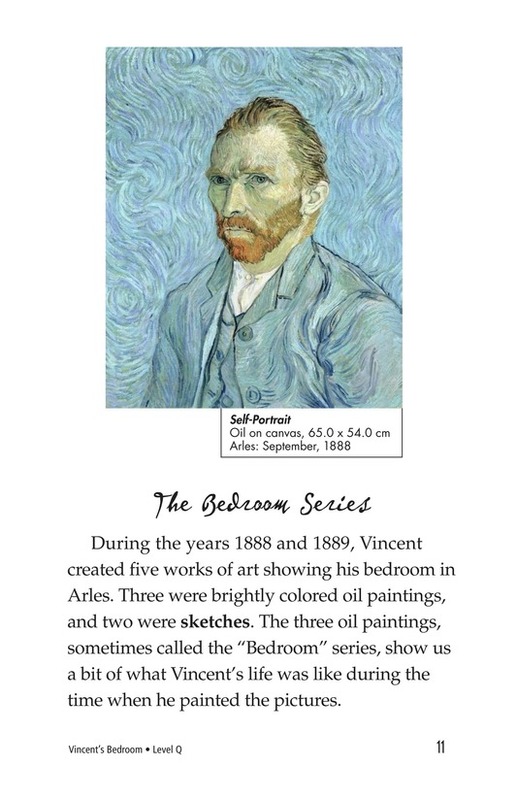 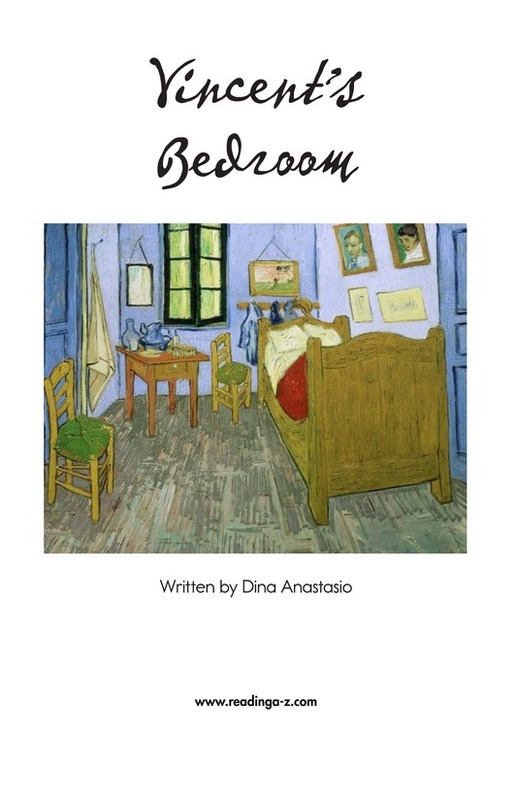 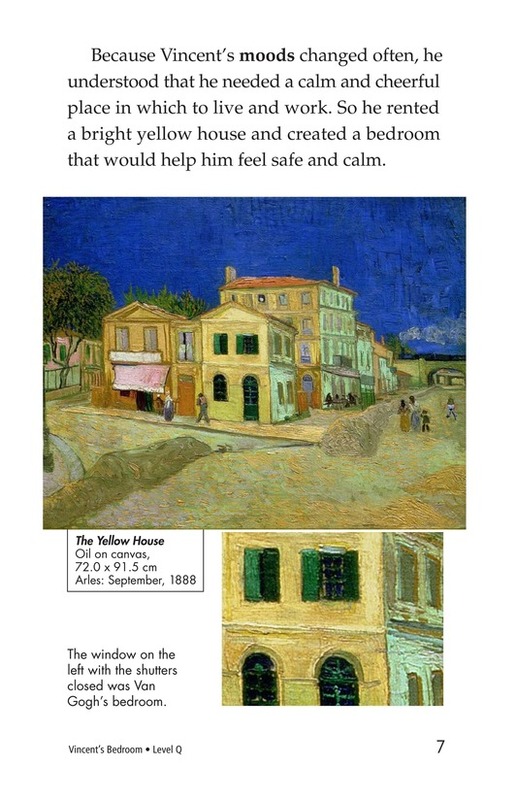 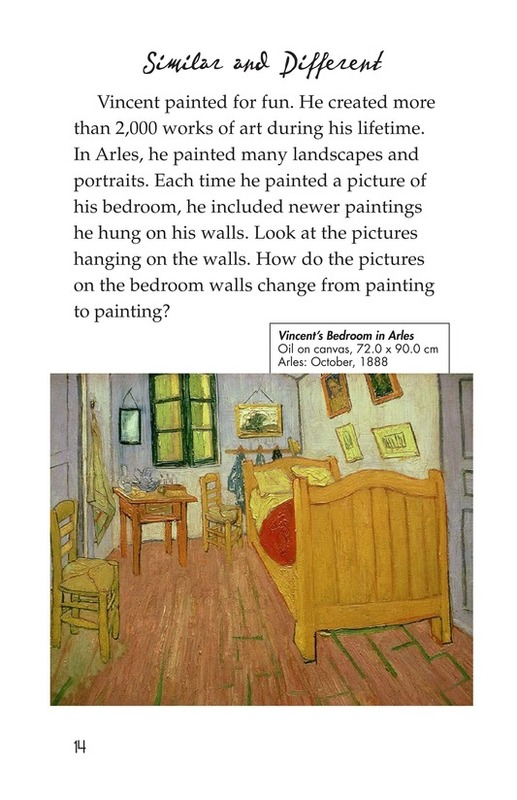 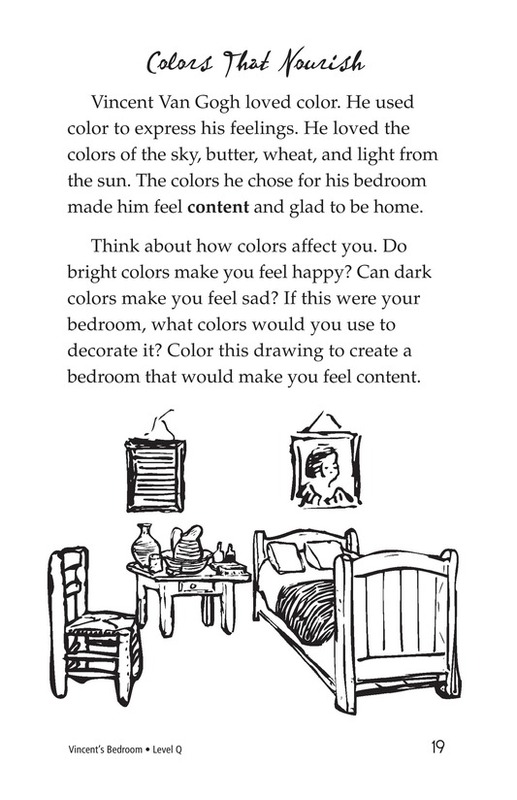 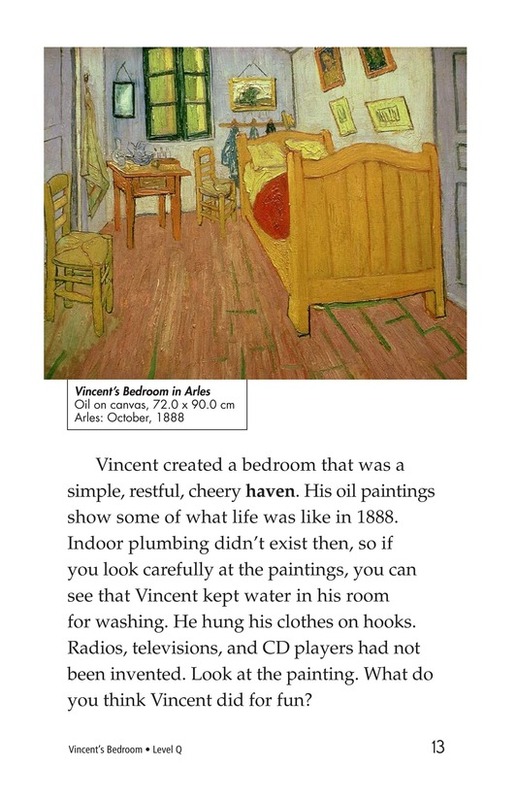 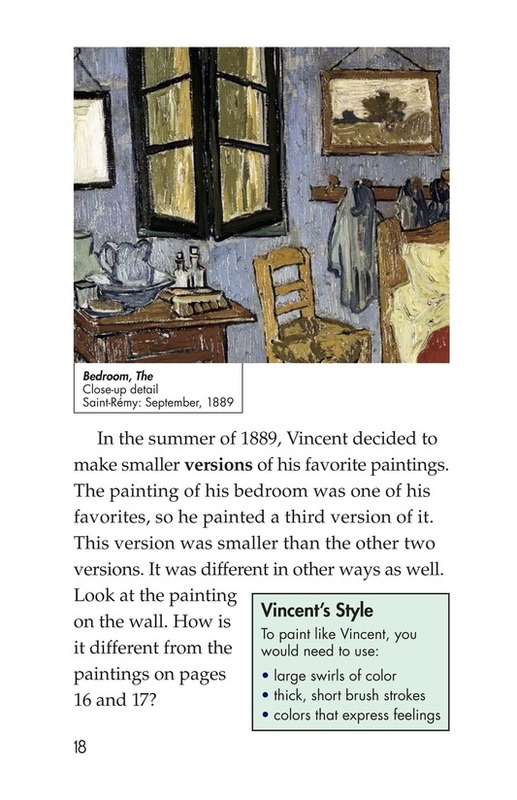 Vivid color photographs of Van Gogh's most famous works, particularly The Bedroom Series, are included throughout the book.